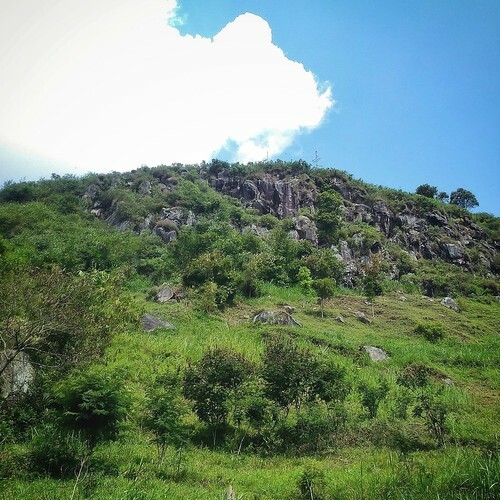 We began the trip from the city by climbing to the north through Palintang Road. It is nowhere as famous as Setiabudhi main road, and not as easy too. The uphill rural road, however, was far less crowded and offered more scenic views along the way. 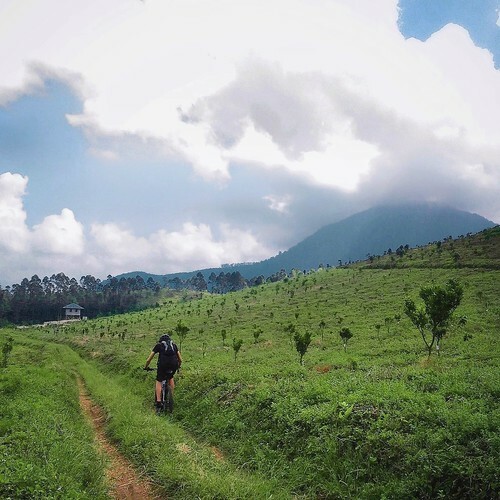 It also led directly to the valley between Mount Manglayang and Mount Palasari, known as Puncak Palintang (lit. Palintang Peak), which is the easternmost point of the fault, making it the perfect route for this particular cycling trip. 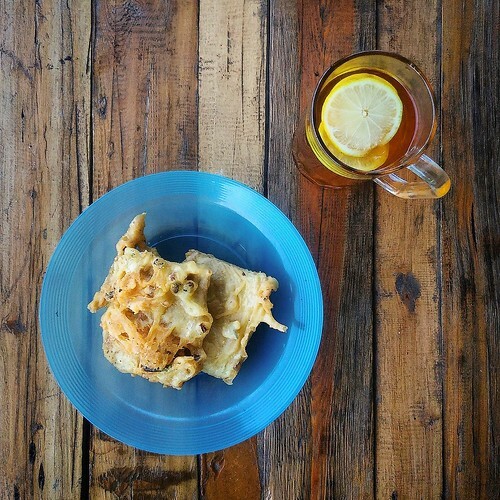 Along the way to the peak, we took a break in a modest warung known as Warlos Palintang. Gorengan (traditional fried snacks) and a glass of hot lemon tea was, among other things, the kind of treat provided there. 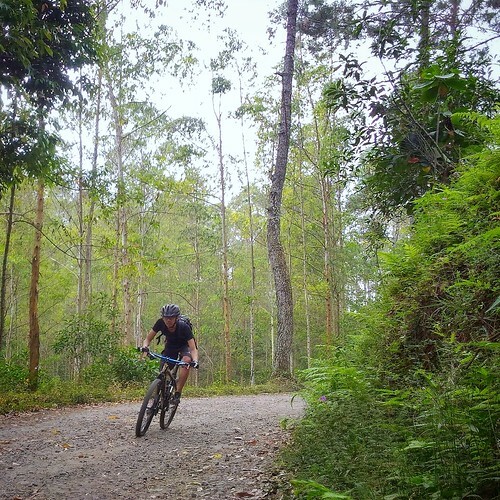 Situated halfway to Palintang Peak, as well as at the end of a downhill trail, it is well-known among eastern Bandung cyclists and mountainbikers. In fact it was cyclists’ primary uphill destination before coasting down back to the city; only few of them climbed further to the north. 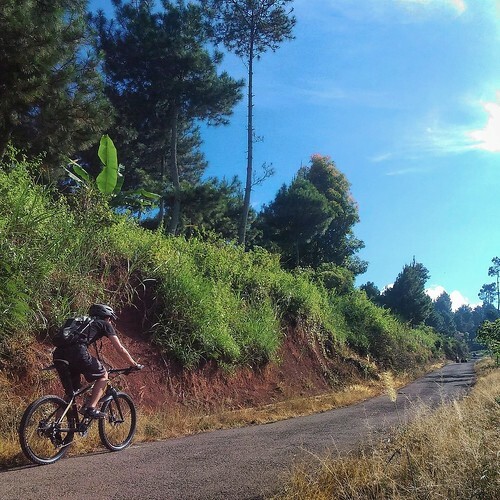 The road is still climbing past Warlos Palintang—after all, the 10 km road to Palintang Peak was climbing 800 m in altitude, making it one of the most challenging uphill route in Bandung. Past the last settlement, we could see the peak of Mount Palasari, and its lush green forest, from the side of the road. 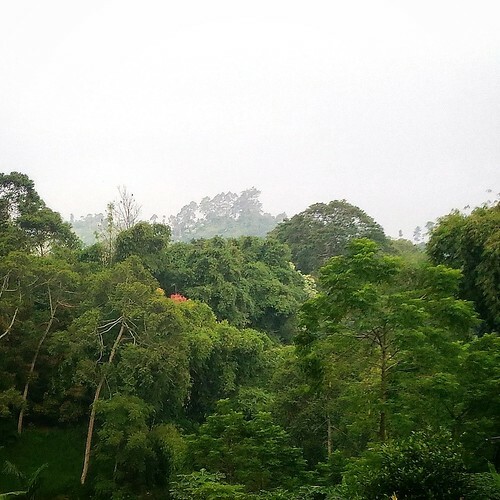 From there, the road snaked through Bukittunggul plantation area. The climb felt harder, even though the overall gradient didn’t change. It might perhaps due to the fact that the climb was twistier, the air was thinner in higher altitude, or simply because we had grown tired of long, steady climb. 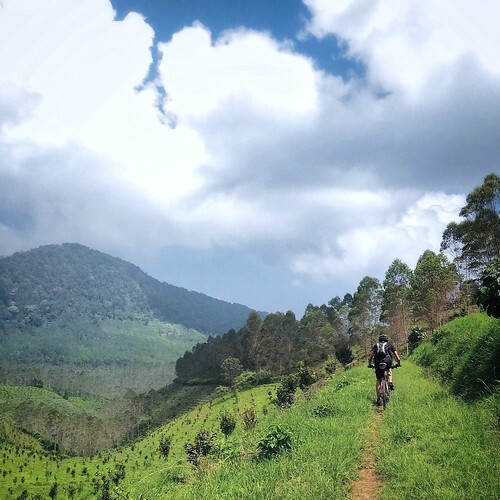 From Palintang Peak, we decided to make a short detour from the main road, to enjoy the trail and the landscape view of Bukittunggul plantation, including the clear view to Lembang Fault. 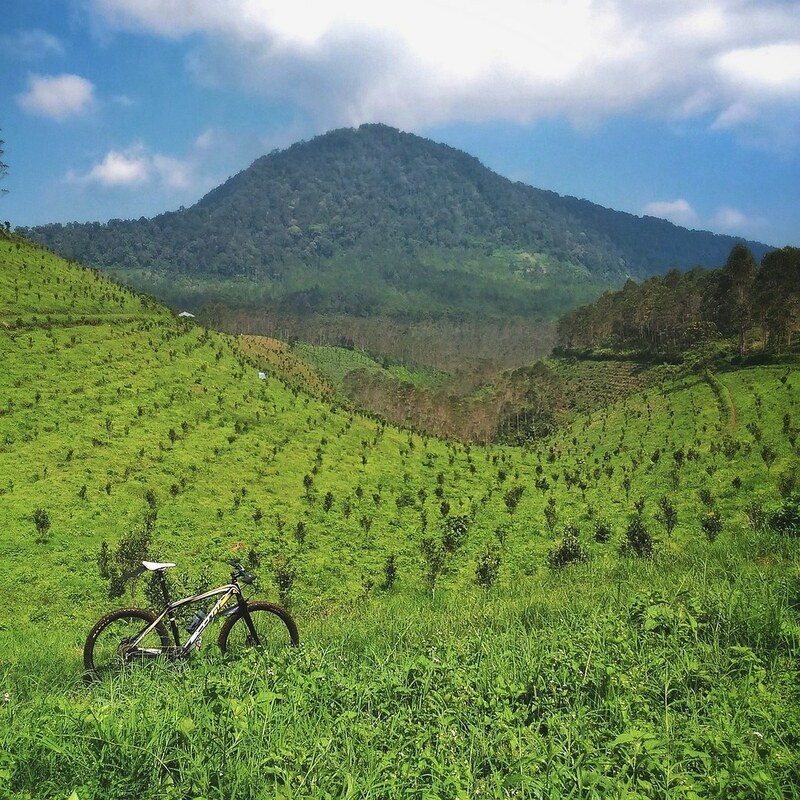 Our destination was a spot called “Circle Crop” by my mountainbiking fellows, somewhere in the middle of the plantation. Despite the name, it doesn’t in any way resemble a circle crop in common term; it was falsely named so only because of the shoehorse-shaped trail and planting pattern on the valley. We followed the trail further from the “Circle Crop” spot and arrived at a village near Situ Sangkuriang (lit. “Sangkuriang Creek”), a water reservoir for Bukittunggul Plantation. 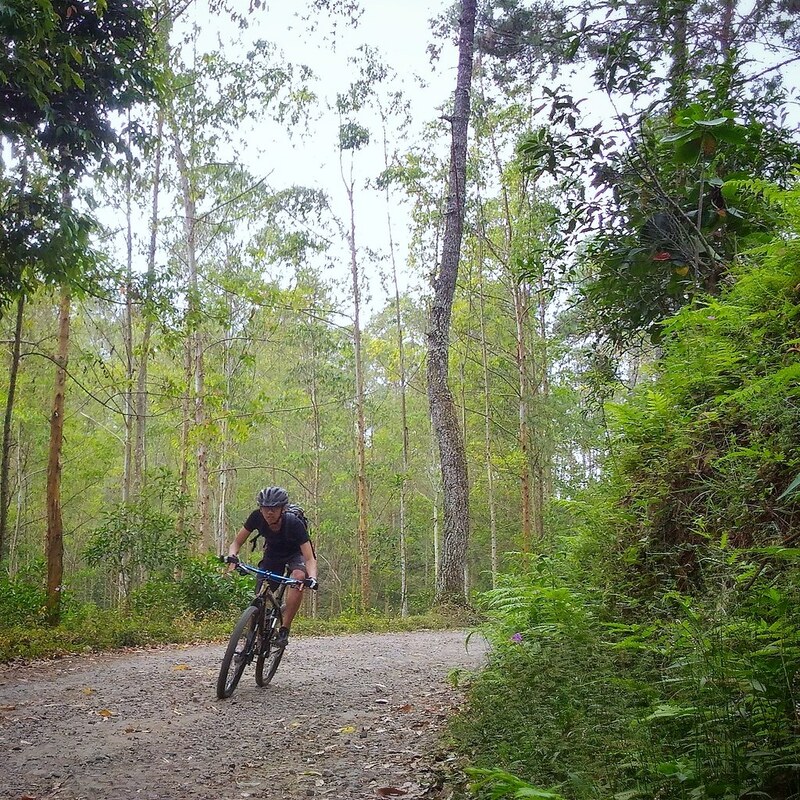 We decided to skip visiting the creek and hit the main road heading to Lembang instead. The flowing downhill road was fun, especially after all those climbs from the city. Cornering on the loose gravel segments at high speed was thrilling—it refreshed us mentally and prepared us for the long road still waiting for us ahead. 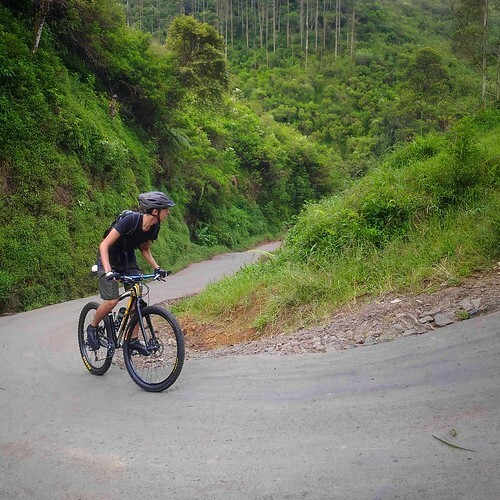 The battered road turned flattish after Bukittunggul plantation’s west gate, with occasional gentle climbs and easy rolldowns through Cibodas. 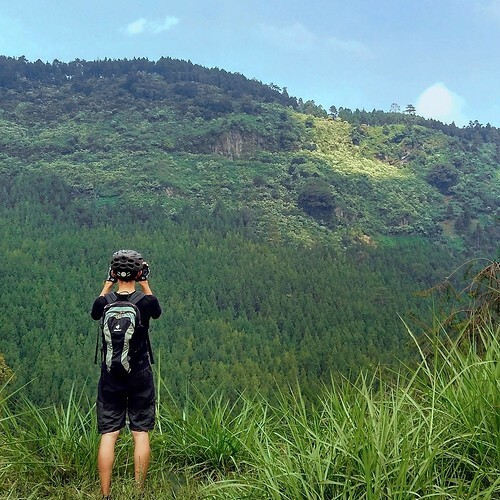 Lembang Fault could be seen from the roadside as a tall rocky wall overgrown by bushes and pines—in fact it has become the selling point of The Lodge Maribaya, a popular vacation destination for urban family and youth. We didn’t have the time to drop by, though, and merely made a stop near The Lodge’s entrance to take a closer look at the fault from the open roadside. The fault might seemed inert, but the sheer tectonic power that shaped it is still active and working. Geologists haven’t been able to predict when the fault is going to move again; they, however, have predicted that the movement will result in earthquake with 6-7 magnitude in Richter scale, great enough to lay waste to densely populated area around it. Past Cibodas, the road descended to Maribaya Valley, where Cikapundung River cut the fault from northeast to southwest. The refreshing descent was soon followed by grueling climb to the west from the bottom of the valley. It wasn’t particularly long, but steep and twisty, it drained more power from our legs. Fortunately, the trees overshaded the road and shielded us from power-sapping, prolonged direct sunlight. 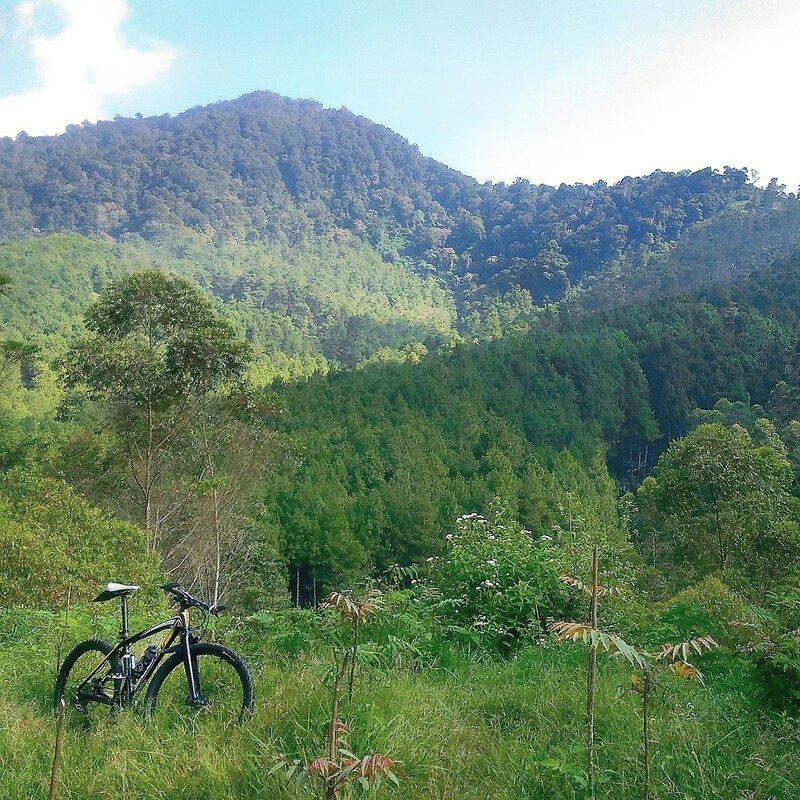 From the west end of Maribaya Valley, I took a short, climbing detour to Gunung Batu (lit. Rock Mountain). 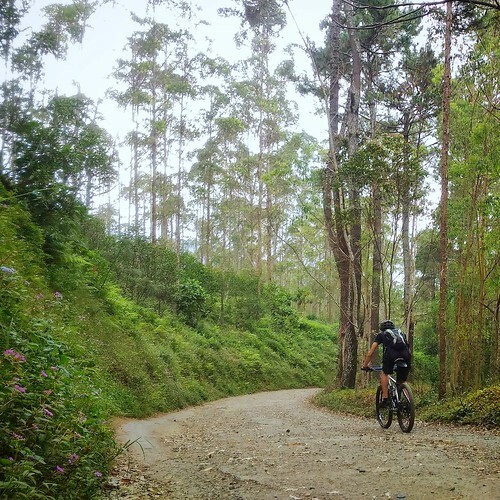 I decided to revisit it even though it was my primary destination in one of my previous cycling trip, because it was an important feature of Lembang Fault. The rocky structure is believed to be the collision point between eastern segment and the western segment of the fault. It is on the top of the mountain local geologists placed monitoring station to study the movement of the fault. Past Gunung Batu, we were rewarded with gentle downslope and flattish road to our lunch stop at KSPBU (Koperasi Peternak Sapi Bandung Utara; North Bandung Cow Breeder Cooperation) Lembang. It was well-known among local tourists and cyclists alike for its range of dairy products. 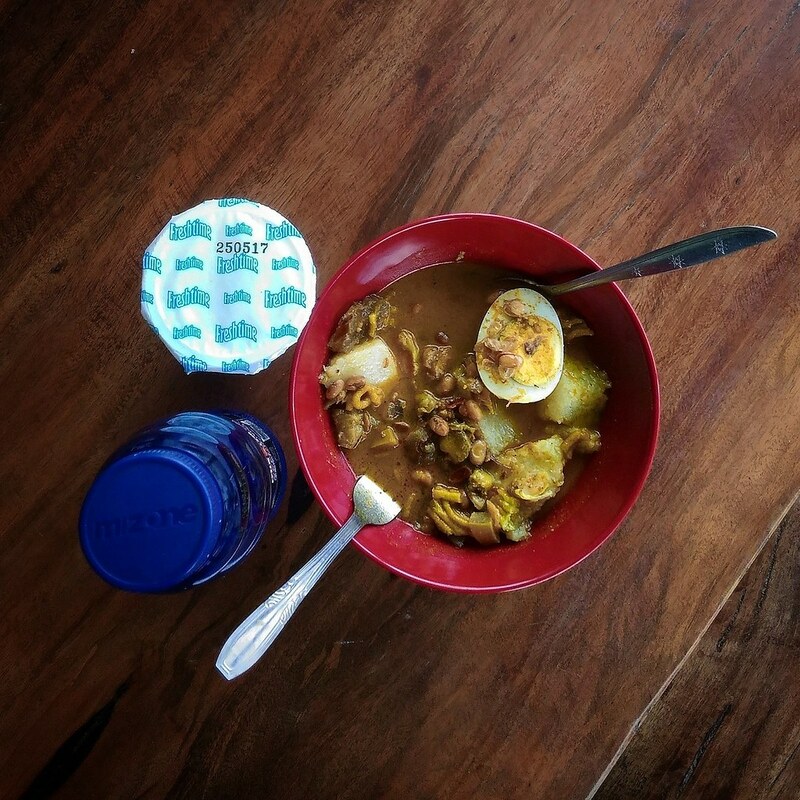 I, however, preferred a cup of yogurt drink, a commercial isotonic drink, and a bowl of beef curry to replenish myself after all the pedalling sessions from Warlos Palintang to Gunung Batu. After the break, we took another short, steep climbing route to Bosscha Observatory. 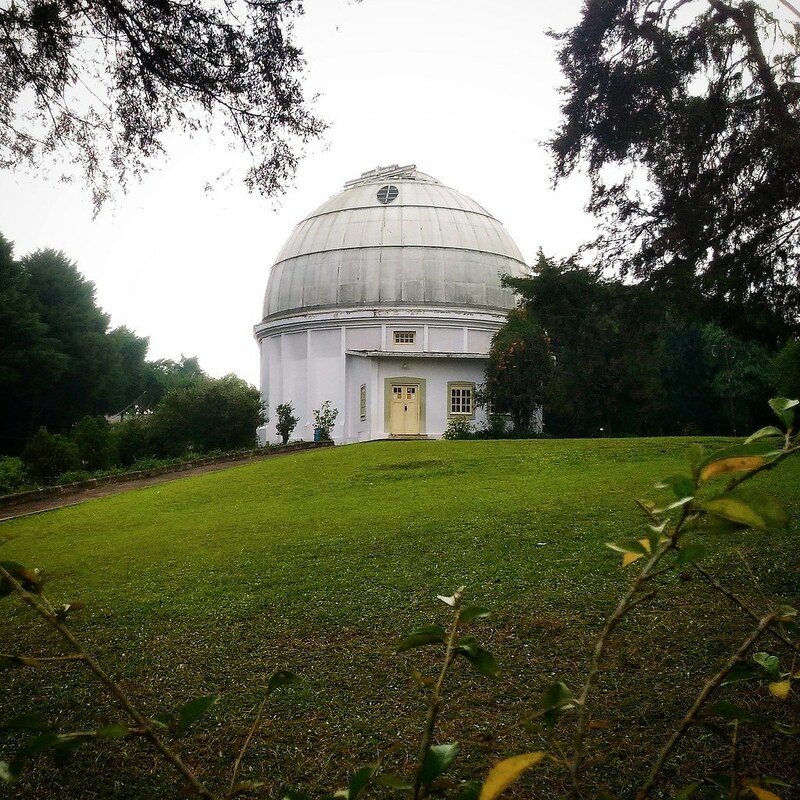 Placed just on top of the fault’s line, the observatory was built by Dutch-Indies Astronomical Society in 1923. It was named after Karel Albert Rudolf Bosscha, the son of a renowned Dutch physicist and the owner of Malabar Tea Plantation, who granted the property for the observatory. 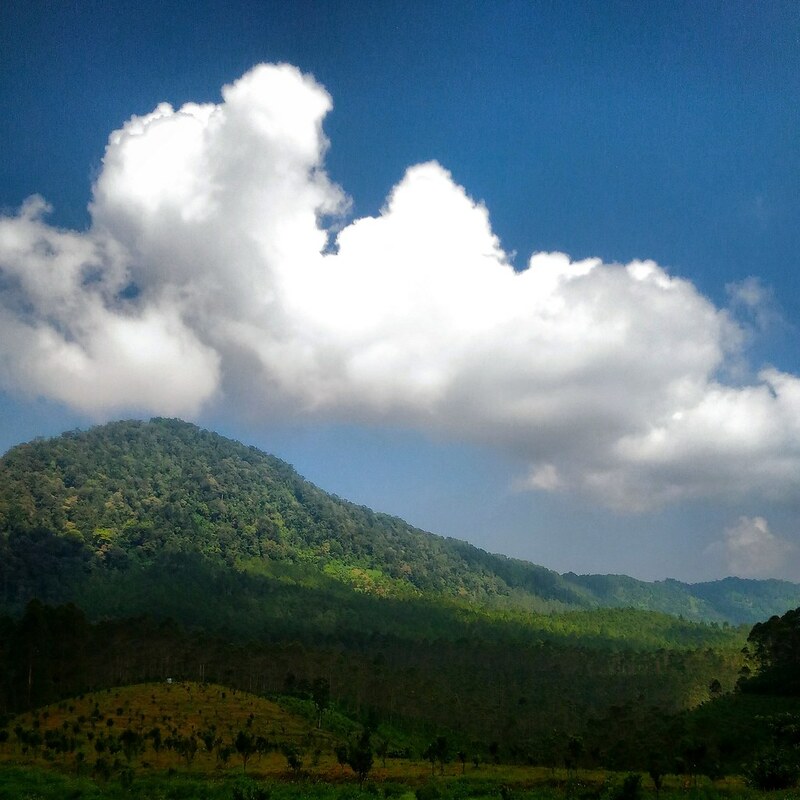 Even though the development of Lembang region has disrupted the clarity of atmosphere required for observation, it is still operational until today and regularly visited by students and astronomers. 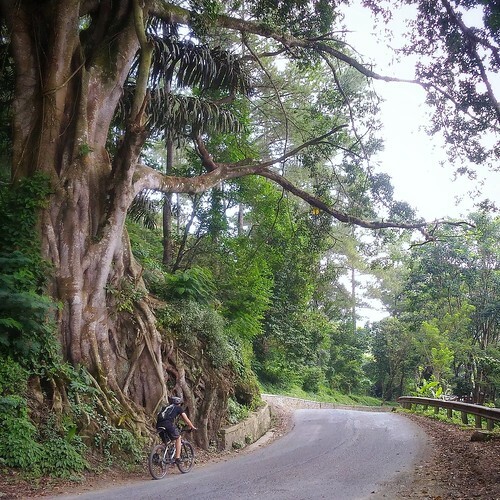 From Bosscha Observatory, it was easy to go back to the city by coasting downhill through Setiabudhi main road. We, however, had decided to cross the road and go further to the west. 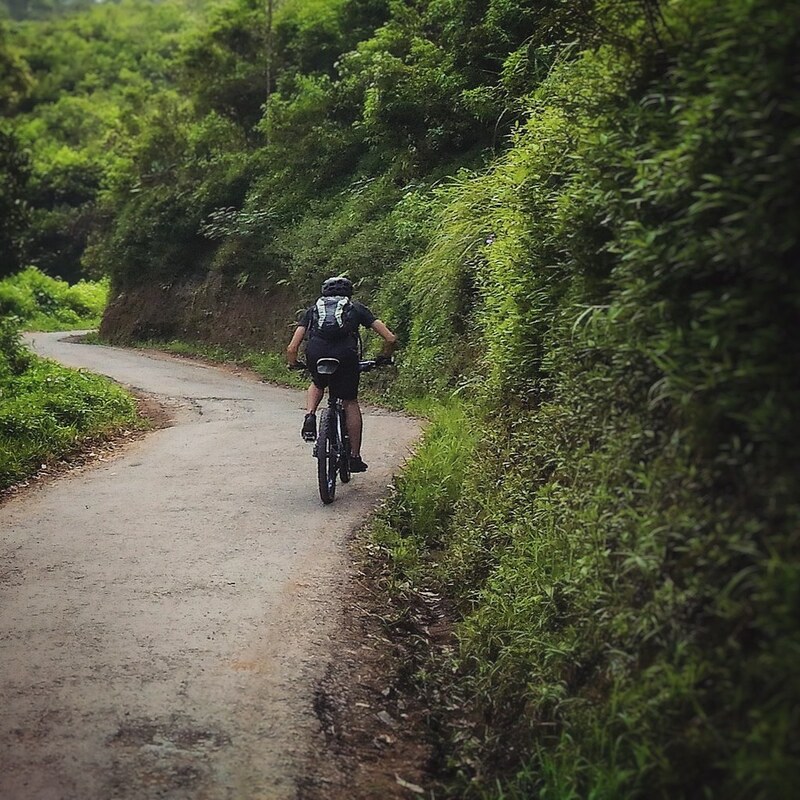 The road began as short steep downhill to a valley, followed by a long climb all the way to Parongpong. As expected from a main road, it is well-sealed, but crowded by cars. Past Parongpong, the gradient became friendlier, with short climbs and rolldowns here and there, including a relatively shallow valley of Curug Cimahi. Just before we rolled back to the city, we made a stop at the entrance of Natural Hill, which provided us with the most western view of Lembang Fault. While the east end is clearly visible as a tall mountain, the west end was merely an obscure mound of soil covered in trees. Topography map revealed visible elevation profile as far as 6 km further to the west, but it was hard to distinguish in real world setting, because the area was already crowded with man-made structures. It was even more unclear if the fault stretched further to the west under the ground, with no visible features on the surface. From the entrance of Natural Hill, we rode further to the west. We opted to descend back to the city through Cijamil instead of Kol. Masturi road, to get to the end of the fault in the west as far as possible. The long descending road to Padalarang under the warm afternoon sun was a blissful reward after a day of hard pedalling. 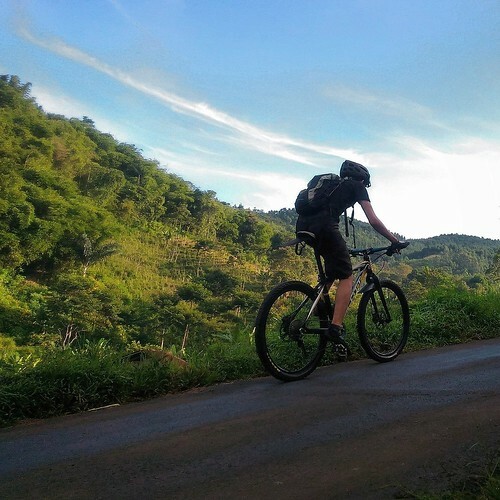 We declared our exploration cycling trip ended there in Padalarang, even though we still have to pedal 23 km through gently climbing, relatively flat urban road to go back home.